Feel a need to bust out of the doldrums and put a smile on your face? Try some Freddie Mercury. 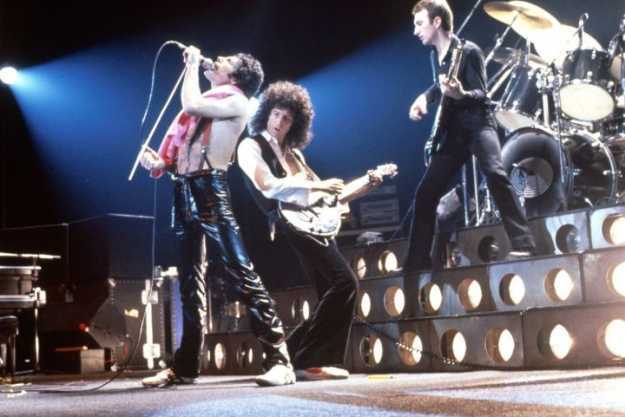 That’s the advice coming from researchers at the University of Missouri, who have studied the effects of musi on our moods, leading to the determination that Queen’s “Don’t Stop Me Now” is the happiest song in the world. The researchers studied the effects of music on 2,000 subjects, ultimately coming to the not-that-shocking conclusion that listening to music can improve one’s mood. In order to determine which music makes us feel better, however, neuroscientist Jacob Jolij created a formula — dubbed the “happiness formula” by studying 126 songs from a 50-year period, reports Indy100, selected by a survey undertaken on 2,000 British people asked to select their favourite songs. The songs with the highest scores were then analyzed (two-thirds of respondents singled out “Don’t Stop Me Now” as a favourite), to determine beats per minute, the key and the theme of the song, and also analyzed the lyrics in order to determine what it is about certain songs — including “Don’t Stop Me Now” — that makes people so darned happy.